Click the button below to add the Home Town Nights Pattern PDF Download to your wish list. Hometown nights is an easy, lap size quilt. A Perfect scrap busting project. 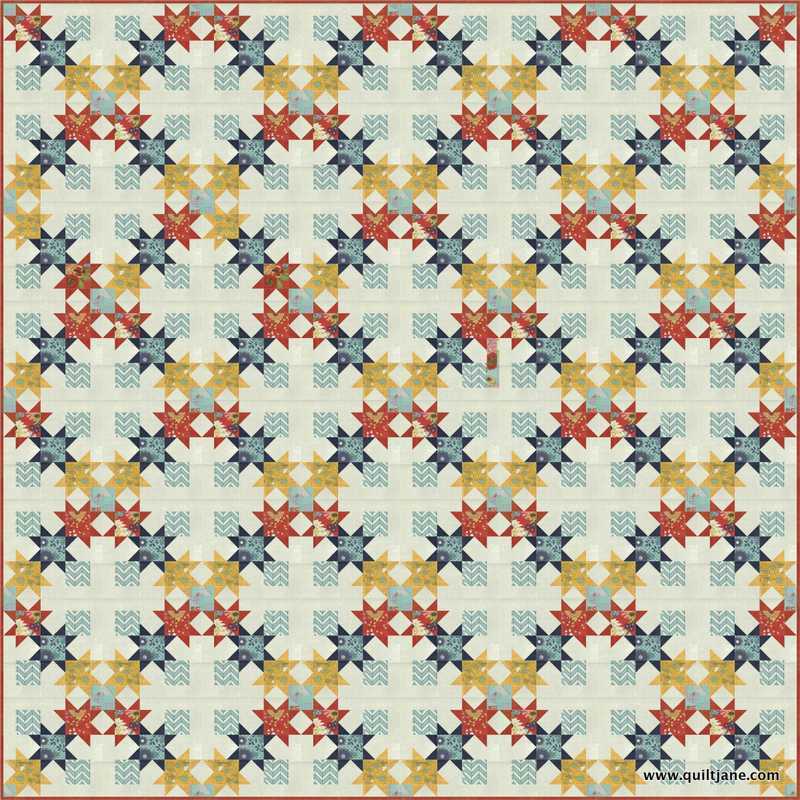 Aqua star: ¼ yard each of 4 different aqua fat quarters. Navy star: ¼ yard each of 5 different navy fat quarters. Red star: ¼ yard each of 4 different red fat quarters. Background: 4 yards of low volume or light prints. Border / Background: 2 ½ yards.